Run your service business online. 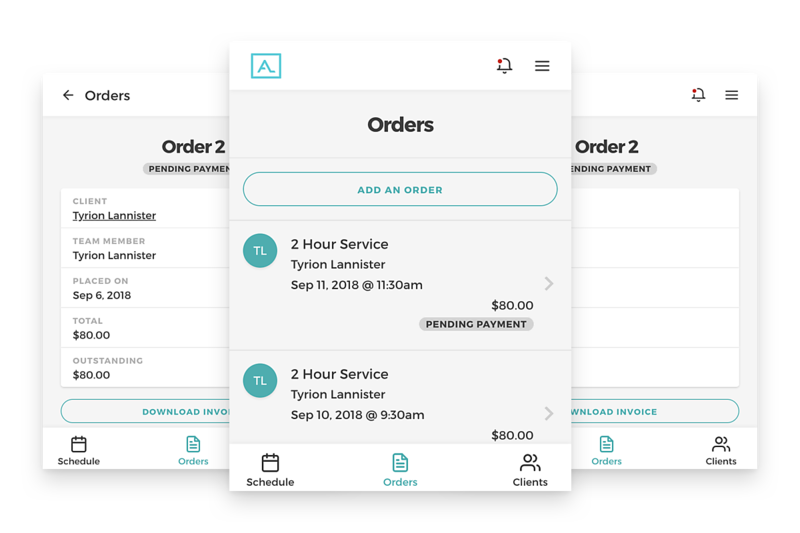 Amidship is a small business platform. We help you build your website, manage your schedule, and track your sales - all in one place. We make it easy to run your business so you can focus on doing what you love - offering an amazing experience to your clients. 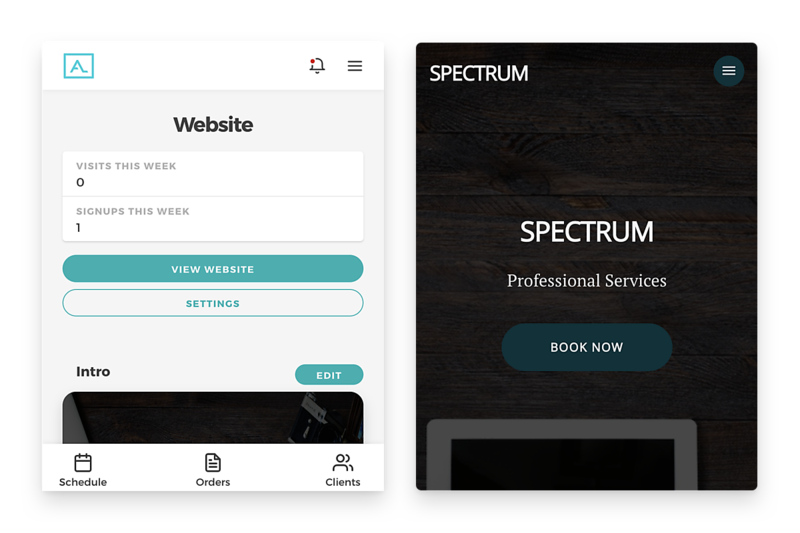 Building a website has never been easier. In minutes, you'll have a professional website to help you build your brand, and reach more clients. Say goodbye to pen and paper. 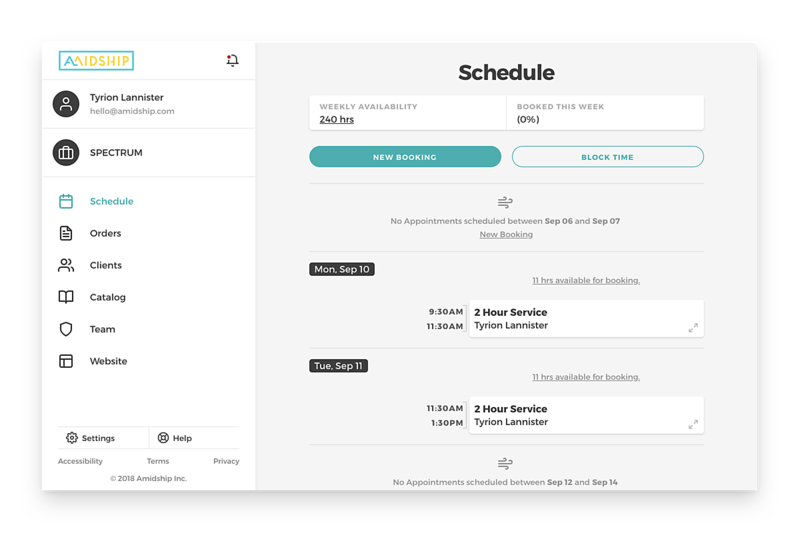 View and manage your client appointments on-the-go from one central place online. Stay on top of your books. Manage your invoices and track your payments to get a better understanding of your sales each month. Keep all your client records in one place. 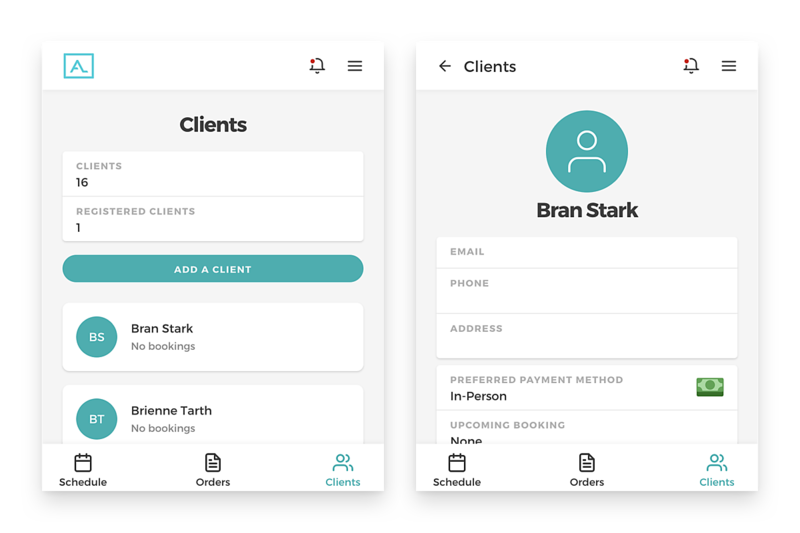 Track your clients' unique history so you can customize your services to fit their needs. I've never seen a company with a more simple and user friendly interface than this one. Even shopify and wix.com who claim to be easy to use and for novices don't come close to you guys! We love the program! It’s really helped us with growing our business and gaining new clients.